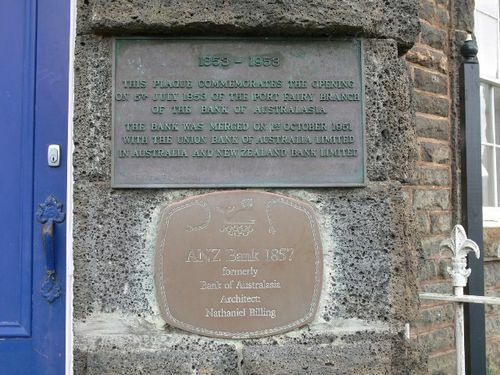 Plaque commemorates the opening of the Port Fairy branch of the Bank of Australasia in 1853. Of The Bank Of Australasia. In Australia And New Zealand Bank Limited.